We just checked in at Grand Lodge on Peak 7, a fabulous ski-in, ski-out timeshare on the slopes in Breckenridge, Colorado. It’s our first time staying here, and I must say I’m impressed! Even better, we’ve booked 5 more ski weeks this winter, too – all thanks to timesharing. Without timeshares, we would never be able to get these vacations without paying far, far more. 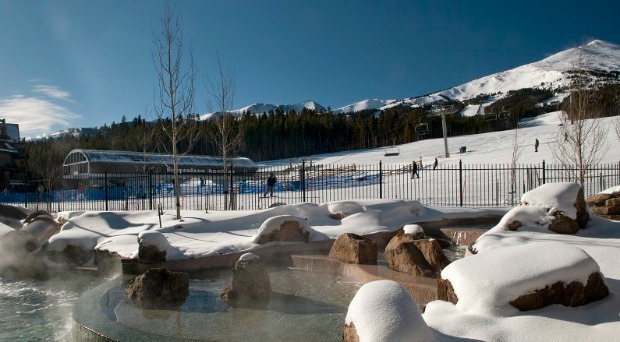 Here’s how we scored an amazing ski season, turning one timeshare into 6 weeks of snowy fun. Maybe you’ll get some ideas for planning some fabulous timeshare trips yourself! Start with an idea. We enjoy skiing and winter sports, so always like to book some ski vacations. 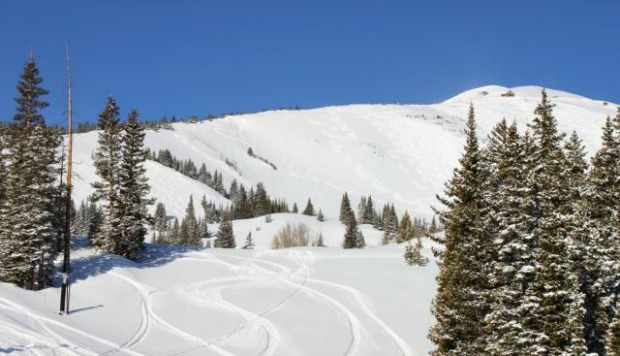 This year, we wanted to plan it around a top winter destination, so had a number of locations in Colorado and Utah in mind (including Breckenridge, of course)! Start searching early. We start planning one winter’s ski season as soon as we finish the previous year’s trips. In early 2014, we were searching for winter 2015 trips, and so on. Be flexible with dates and locations. For initial searching, we used a broad date range, looking for anytime from January through mid-March. Having a wide selection of dates makes it more likely you’ll get an exchange at the resorts you want. Fresh snow on the ski slopes is calling! Plan around the keystone. We wanted to make this a more extensive vacation, and wanted to drive rather than fly to Denver with all our ski gear. Breckenridge is quite a drive for us, so we figured we’d pad it with a week before and after, at other ski locations along out way. Check extra vacations for set dates. At this point, we were looking for very specific dates, to fit before and after Breckenridge. Rather than put in additional exchange requests and wait to see if we got a match, we looked for Extra Vacations (RCI) and Getaways (II) with locations and dates that fit. Book two weeks before and after. We found Extra Vacations on RCI that fit our needs perfectly, and booked a week in Pinetop, Arizona on the way to Breckenridge, and a week in Durango, Colorado on our way back. Three weeks in January all set! Always keep looking. If you’re a timeshare addict like I am, you’ll probably be checking RCI and/or Interval International regularly, just to see what kind of deals you happen to find. Many days there’s nothing new or interesting, but you never know. Sometimes you’ll find a great vacation available for purchase or exchange. Book the deals. 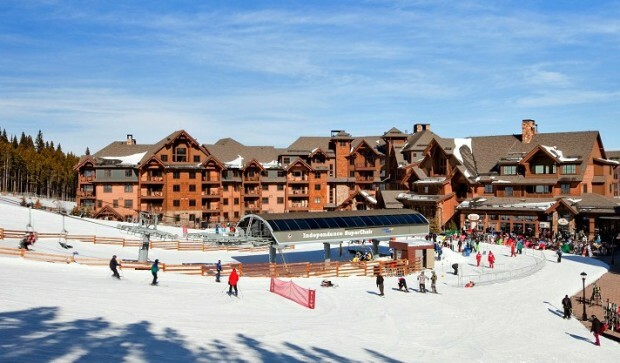 We ran across a couple of great deals on RCI Extra Vacations that gave us another two ski weeks to round out the season. Sometimes you can find amazing deals here, like the week we got at the Wyndham Durango. 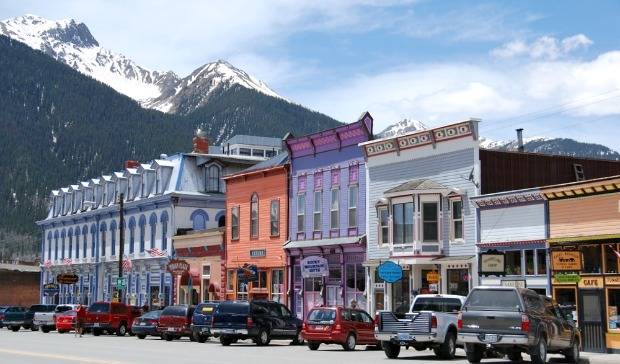 Durango Mountain Resort is a fun place to ski, the timeshare is centrally located in a charming historic town, and the price we got couldn’t be beat! Opportunities come up. We thought our ski season was fully booked, and then found out some friends were visiting Breckenridge in March. Sure, we’re already here in January, but wouldn’t it be fun it we could meet them in March? Let’s see what we can do. Fixed dates & resorts – what are the odds? In this case, we had fixed dates set by our friends, and a short list of resorts we wanted. It’s a long shot for an exchange request, but we submitted searches on both RCI and II, and waited to see what we could find. Search early with flexible parameters. Without a doubt, this gives you the best chance of finding an exchange you want. Later and narrower searches can work out, but your odds get significantly lower. Combine multiple approaches. Sometimes a timeshare exchange will get you the best results. Other times buying a getaway or extra vacation is a better way to go. Use all the tools you have available. Use both II and RCI. If your timeshares allow you to have memberships in both RCI and II, using both gives you the most options. It does cost more to maintain both memberships, but you get the widest range of options this way. Evaluate whether that’s worth it for you. How do you plan your timeshare vacations? Are you an advance planner, a short notice opportunist, or a bit of both? Any tips you’d like to share in the comments below? As shown by our ski season plans, timeshares can provide awesome travel opportunities. Without timeshares, this just wouldn’t be practical for us. On the other hand, there are a lot of potential pitfalls to watch out for, so make sure you know what you’re doing before you buy anything. 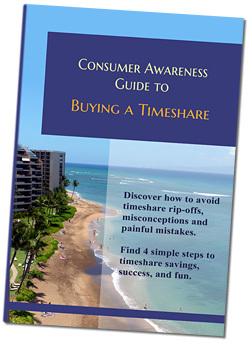 My free Consumer Awareness Guide to Timeshares is a great place to start.